After climbing all the way through the StarLadder ImbaTV Minor to qualify, Vici Gaming ran the gauntlet to claim the DreamLeague Season 11 throne. Throughout the entire event, Vici dropped just one series—it came against Evil Geniuses when they played in the winners match of the group stage. After that, the Chinese underdogs rallied to defeat the top teams from four separate regions, starting with Team Secret. 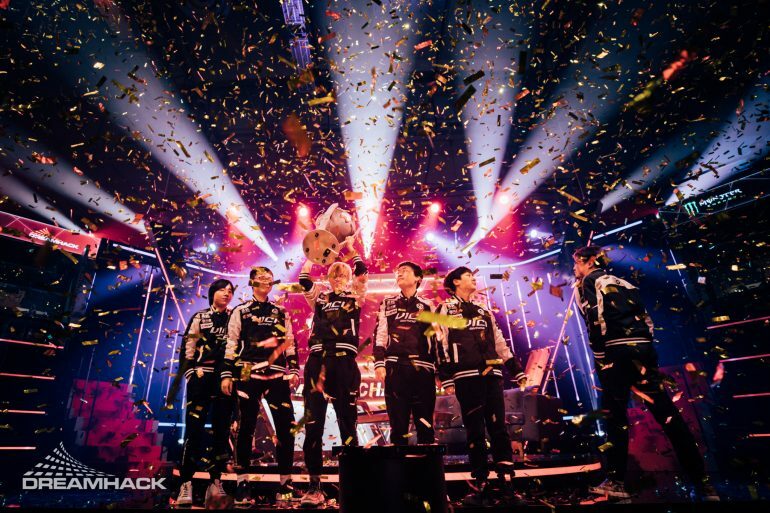 The European juggernauts had Vici on the ropes several times in the series, but Vici proved to be resilient enough to bounce back. Next came a rival from their own region, LGD Gaming. With each match they played, Vici looked more and more comfortable, eventually flipping the series on its head and claiming their second 2-1 upset of the tournament. With both Europe and China down, Vici collided with Fnatic, the top team from Southeast Asia, in the winners finals. That series came down to the last minute with Fnatic looking poised to advance early in game three. Despite the disadvantage, Vici managed to outlast their opponents in a key teamfight before pushing hard late. With their third 2-1 series win, they guaranteed a top two finish as they awaited the winner of Fnatic vs. Virtus Pro in the lower bracket finals. VP cleaned up some shaky play from early in the event and managed to best Secret to secure their spot in the final battle of the lower bracket. As usual, Fnatic got the drop on VP, completely destroying them in game one. But VP never lets the first loss bother them—instead, they used it to their advantage in the long run. Game two was a dragged-out affair, lasting around 45 minutes before VP finally managed to pull away. From there, VP blitzed Fnatic early, barreling through their lower towers and barracks toward an extremely one-sided game. With their win, VP moved on to face Vici in their third grand finals appearance of this Dota Pro Circuit season. Blows were traded from start to finish in a series that went the distance. Vici looked calm and collected in the early going, taking game one with a 34-14 kill differential behind Zhang “Paparazi” Chengjun’s Morphling. The same situation played out in game two, with VP falling behind early and Paparazi looking strong on his Weaver. The difference was made when Roman “RAMZES666” Kushnarev put on a show in the late game with Anti-Mage to help his team overcome a kill deficit and even the series up. Vici didn’t look pleased with how they let game two slip away and put their all into the early stage of game three. They put themselves at match point in just 22 minutes after blitzing VP with Zeng “Ori” Jiaoyang’s Bloodseeker. The back-and-forth continued as VP fought back and claimed a hard-fought battle that at times had Vladimir “No[o]ne” Minenko looking unstoppable on his Storm Spirit. After another close loss, Vici weren’t taking any chances. A strong draft led to an incredible opening run that included tower wipes and a dominant teamfight that completely wiped out VP. Those odds kept stacking until the Russian squad had spent every resource available to them at that point—and Vici completed their underdog run through the Major. With their win, Vici not only earned the grand prize of $1 million and 15,000 DPC points, but they’re also the fourth team that’s qualified for The International 2019. They’ve now passed EG and sit in third place on the DPC rankings with Fnatic moving up to fifth, just a few points away from qualifying.